NOTE: THIS COURSE IS OPEN TO LOUISIANA LAW ENFORCEMENT OFFICERS ONLY. Title 32 explicitly gives bicycle riders the same rights and duties as drivers of motor vehicles. Most, but not all, of Title 32 applies to bicyclists. Since the view from a bicycle is different, and a bicyclist is not surrounded by a sturdy metal structure to protect him/herself, the view of those rights and duties is different from the saddle. Title 32: A Bike's-Eye View was developed specifically for Louisiana law enforcement officers and addresses these issues. 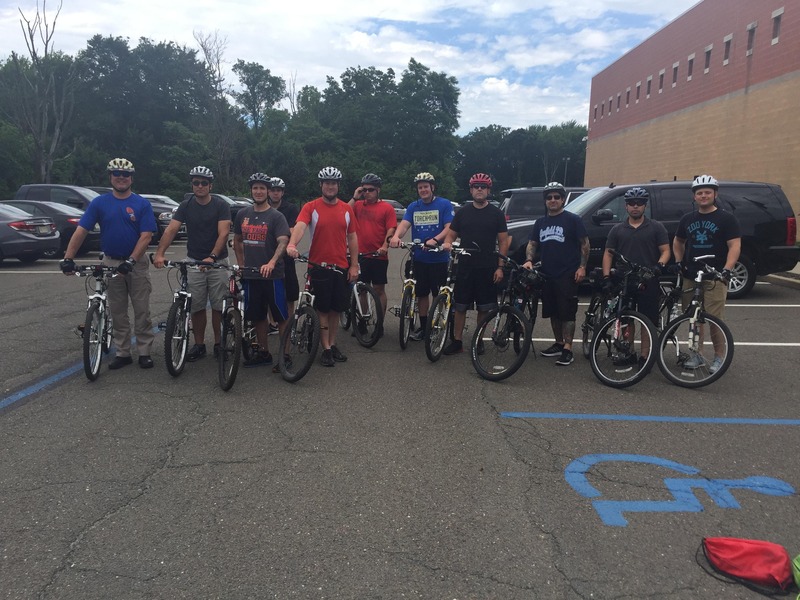 The program increases awareness of Title 32’s impact on the bicycle rider and gives traffic patrol officers the opportunity to experience that perspective. Instruction is provided by two League Cycling Instructors certified by the League of American Bicyclists (LAB). One is an LSP officer, the other is an LAB national League Coach. …and briefly touches on additional “E’s” — Equity, Encouragement and Evaluation. Hazard avoidance techniques that are taught to the public to help avoid crashes. The on-bike modules are optional, but are strongly recommended. While the classroom modules provide insight into the way officers interact with bicyclists, the on-bike portion makes the difference. Officers’ understanding of Title 32 as it applies to bicyclists changes when they are on bicycles in traffic. The on-bike experience creates a new awareness of what it means to drive a bicycle.